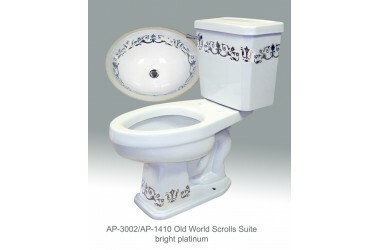 AP-3002/AP-1410 Old World Scrolls Bright Platinum. 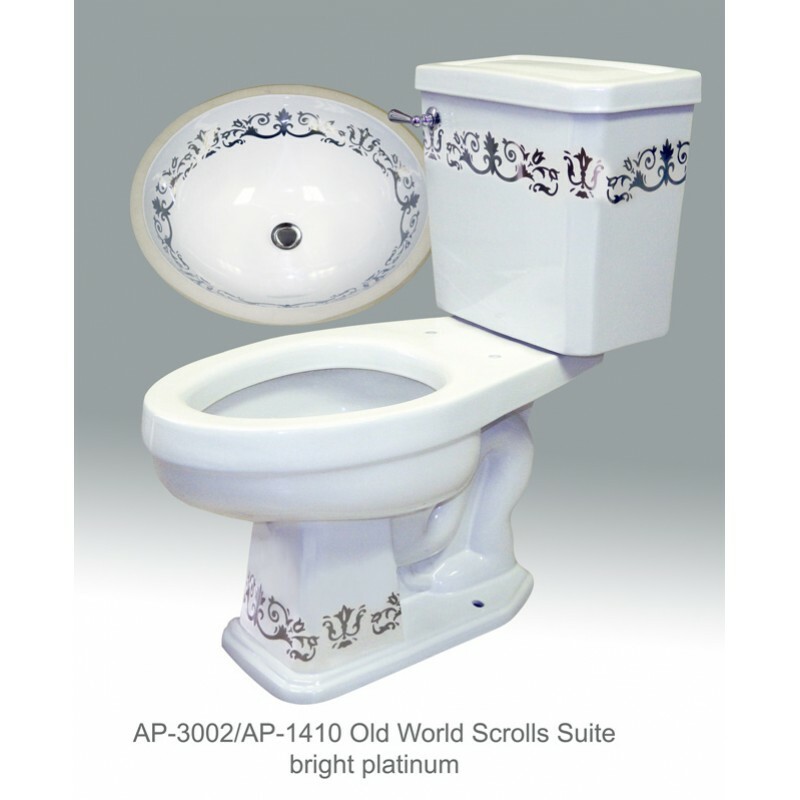 White Arena II toilet with AP-14o white Monaco Small sink with Old World Scrolls design in bright platinum. Toilet is 16" comfort height. 30 3/4" x 27 1/2". Toilets are all code approved, 12" rough in, low volume, 1.6 gallons per flush. Sink inside dimensions 15 3/4" x 12 3/4" x 6" deep. Outside dimensions 17 7/8" x 15 1/4".